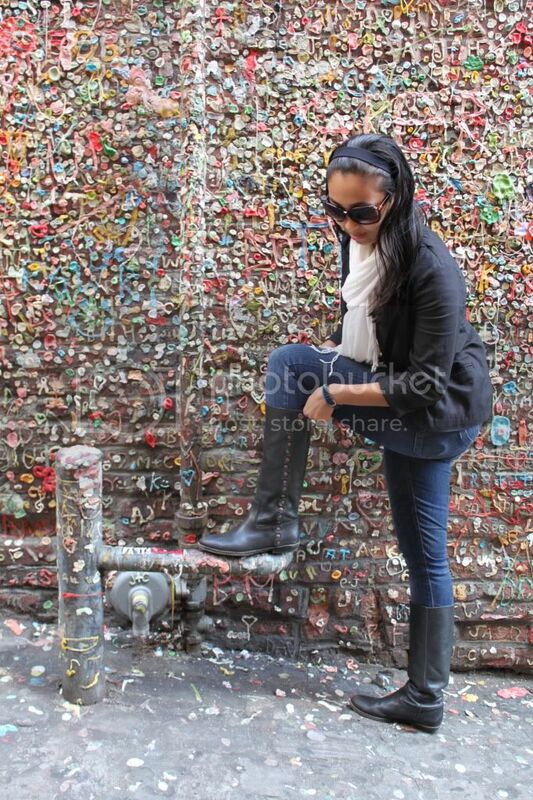 Before leaving Seattle, I was determined to leave my mark on the city in some creative way. I originally thought that I would hand out my new Moo cards to fashionable Seattleites, as I stopped them to snag a picture of their ensembles, but unfortunately, I didn't get to snap very much street wear. 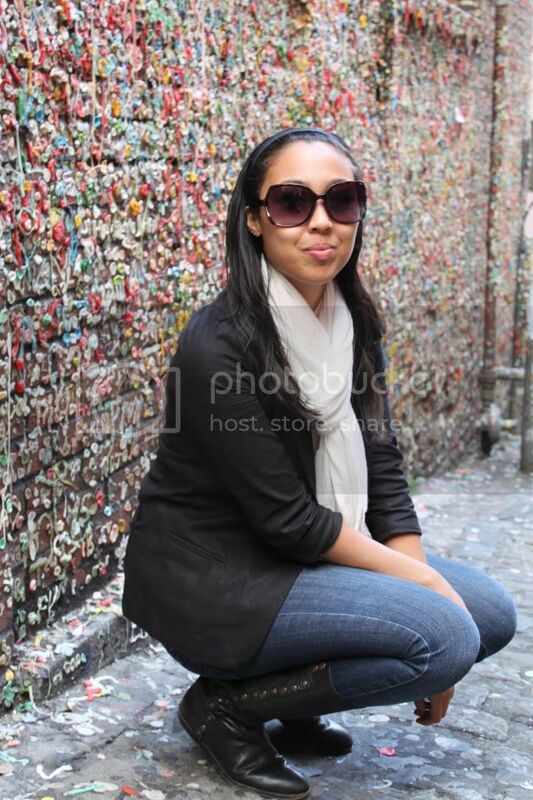 So, hours before I had to leave the city behind me, I knew just how to make the name pancakeSTACKER stick to Seattle--the famous Post Alley Gum wall. I grabbed a few sticks of gum, chewed my little heart out, and found an eye-catching spot to stick my business cards. Now, Seattle will always be apart of me and I to it. Blazer: Purchased from the FIRST ever Nordstrom (in Seattle); Jeans: Guess; Tee & Scarf: Forever 21; Boots: Nine West; Photos by: Alex L.
You look fantastic! I following You and love Your recipes. Cute outfit. 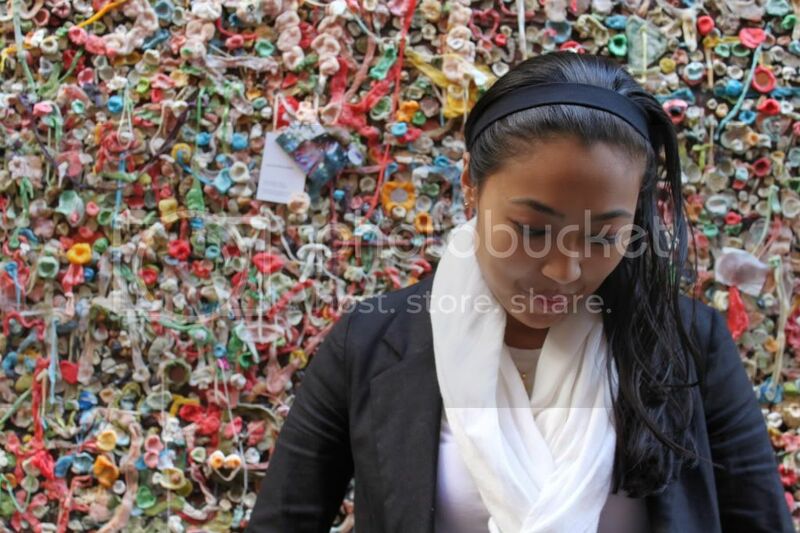 I can't believe all that gum on the wall. What is a Moo Card? Glad you made it to the food tour, can't wait to find out which one you did. Too bad about serious pie! Next time! HI hunnie!!! thanks for your post!!! so happy to hear that you are doing well and have moved on to your next location!!! How very exciting...and FYI..I have never in my life seen such a wall as this, lol...kinds cool though, very colorful indeed!! wow, what a wall! such cool pics! I literally could not believe my eyes!!! 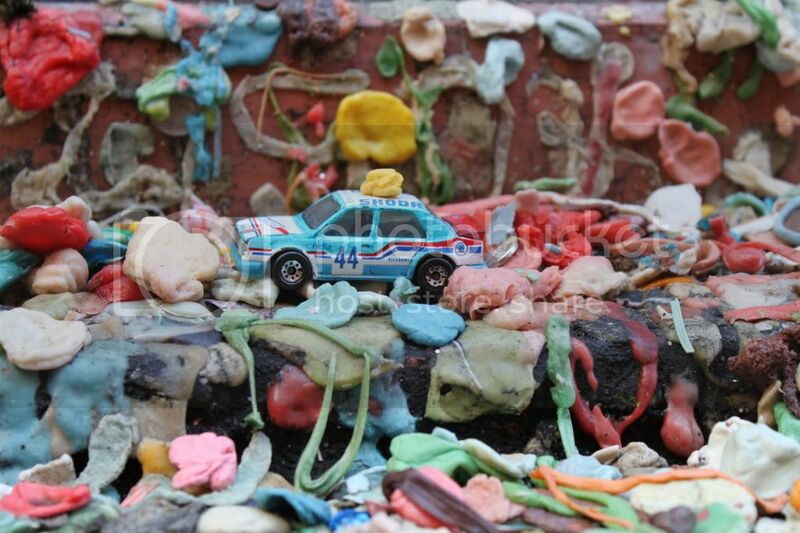 I cant believe that is all gum!! cool! U look great :) Love the background! I love this! Your outfit is amazing and OMG that wall! It looks amazing and also abit grose haha. Cool you left you pic and cart there! Great outfit! I am in love with the boots and sunglasses! Visit our blog and enter our giveaway! You look awesome. Love your blog so much. ewwwwwwwsies....I don't think I could go anywhere near that wall! Your outfit is superbly cute though!! Love this location, and love your boots! Omg so cool Ö Love you blog! Maybe check out mine sometime, and follow? wow, you have an amazing blog - love your pictures and great boots too! would be awesome to follow each other =) i have a facebook page - let me know if you want to have a coffee sometimes, would be awesome..